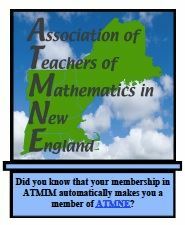 The Association of Teachers of Mathematics in Massachusetts, ATMIM, is an organization devoted to improving the mathematical education of students in Massachusetts. The purpose of ATMIM is to provide for the interchange of evolving ideas and current research involving the teaching of mathematics and its applications, to cooperate with other organizations in the improvement of instruction and curriculum, to promote professional and social relations among mathematics teachers in schools and colleges, and to increase interest in mathematics. 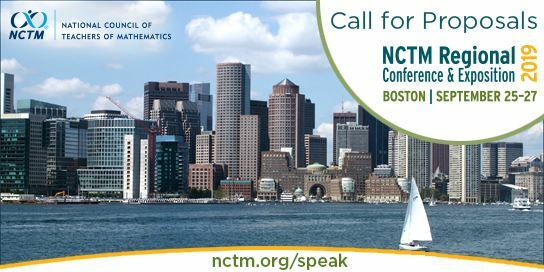 ATMIM is an affiliate of the National Council of Teachers of Mathematics (NCTM) and the Association of Teachers of Mathematics in New England (ATMNE) . All members of ATMIM are automatically members of ATMNE. Sadly, you must register for membership in NCTM separately. To access this resource, you must be an active member of ATMIM. Please log-in, then find "New England Journal of Mathematics" under the Resources tab for access directions.